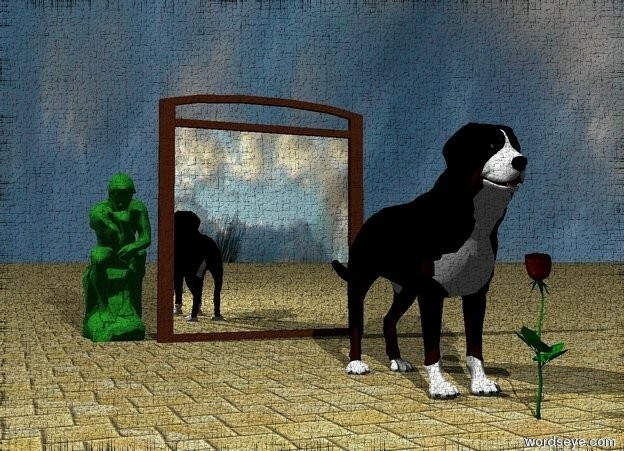 Input text: A wide mirror is two feet behind the dog. it is cloudy. the ground has a tile texture. the blossom is in front of the dog. The small forest green statue is behind the mirror. it is left of the mirror.